You'll be £20.00 closer to your next £10.00 credit when you purchase Apollo 11. What's this? Order within the next 8 hours, 35 minutes to get your order processed the next working day! Half a century has passed since arguably the greatest feat of the twentieth century: when Neil Armstrong became the first man to walk on the Moon. 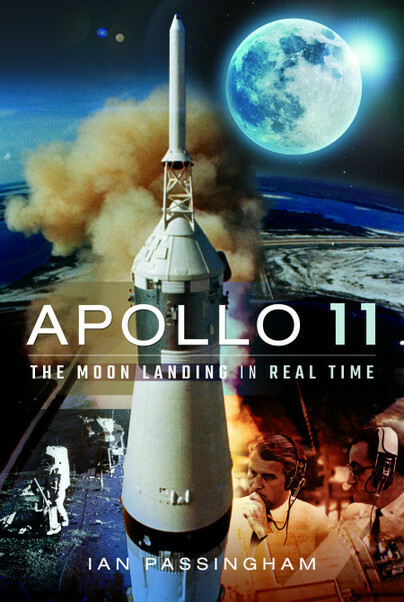 Apollo 11: The Moon Landing In Real Time brings the mission back to life as never before in a thrilling day-by-day account, exploring everything from the historic flight itself to how the $24billion space programme divided a nation. Journey back in time and feel the excitement build in the days before launch and then experience the tension of the dramatic lunar landing and the relief of the crew’s safe return to Earth. This engaging account mixes easily understandable explanations of the ground-breaking technology behind Apollo 11 with entertainment, excitement and humour in equal measure. Set against a backdrop of the Cold War, race riots and Vietnam, the mission polarised opinion worldwide. Alongside these issues, read long-forgotten tales including how a Chilean lawyer claimed he was the legal owner of the Moon, thousands of people signed up for proposed commercial Moon flights, Hilton revealed plans for a lunar hotel, ‘flat Earth’ believers claimed the mission was a hoax and some scientists feared the astronauts would bring back deadly germs from space which would devastate mankind.